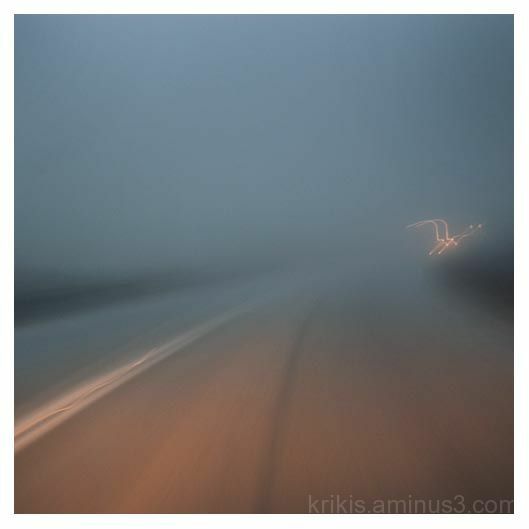 yiannis krikis (thessaloniki, Greece) on 18 February 2011 in Transportation and Portfolio. Beautiful and so soft!!! great tones!!! On dirait un oiseau dans le ciel cette trace de lumière ! I love this image Yiannis. Fantastic mood and simplicity of composition. You have captured just the correct amount of motion to make it wonderfully soft. Great toning of this abstract ! Very unusual tones. ooooooh baby you KNOW what i like lol lost highway dreams, love love!! The fog adds mystery and drama to this traveling scene. The colors are quite beautiful. Super shot with that fog. A very dreamlike representation of what appears to be another world. Beautifully done.